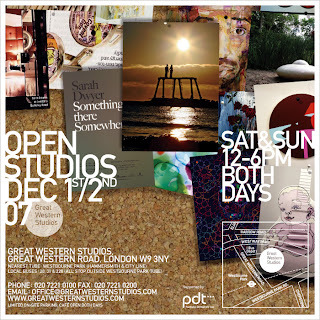 Go check out the Great Western Studios this weekend by Westbourne Park Tube, West London. Recommend to go see work by "Sandra Liccioni", super detailed works inspired by nature. Awash with rhythm and ease. Shine on time, shine on people. Let’s make it work together. Hey. 80% of under 30s use social networks. Virgin are testing 50Mb broadband connections in the UK (hurry up). Terrestrial TV ad market 3billion in 2006. In the UK, BBC website has 17million users with, about 8 million users who consume BBC content from external sources (The BBC say this is an excellent reach enabler). BBC are going to add embeddable videos to their site and make a facebook application for the iplayer in Dec 07 (where did they get that idea :).